Making an assessment of the process of land grabbing worldwide, establishing a diagnosis of the current situation and finally making proposals for the future in order to influence the agenda of governments. These are the objectives of the World Forum on Access to Land and Natural Resources (FMAT 2016) which has been inaugurated this morning in the Polytechnic University of Valencia (UPV), Spain. 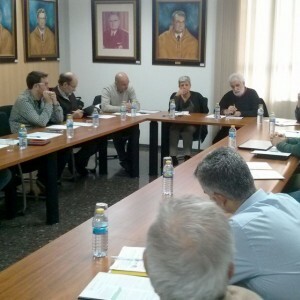 This event has counted with the participation of the President of the Generalitat Valenciana, Ximo Puig; the mayor of Valencia, Joan Ribó; the dean of the UPV, Francisco Mora; and the president of the International Committee of Organization FMAT, Vicent Garcés; Besides representatives of the Food and Agriculture Organization (FAO), the Ministry of Rural Development of Brazil and peasant organizations in Latin America, Africa and Asia.